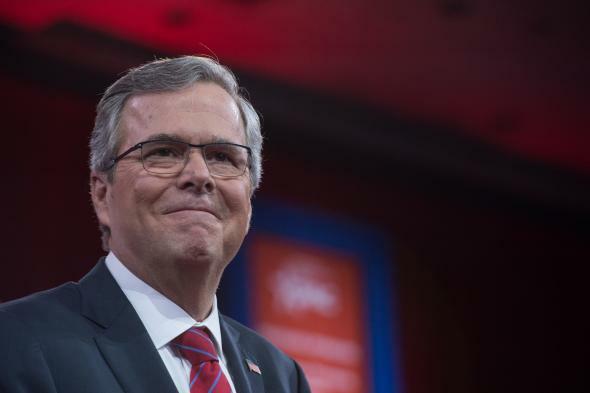 Jeb Bush-Danny Diaz: GOP hopeful shakes up campaign staff ahead of June 15 launch. Shake shake shake: Jeb Bush speaks at the annual Conservative Political Action Conference at National Harbor, Maryland, on Feb. 27, 2015. In a surprise move Monday, Bush tapped Republican strategist Danny Diaz to serve as his campaign manager, shoving aside another aide, David Kochel, to head his still-unofficial presidential operation. … The restructuring of Bush’s staff was unexpected given that Bush aides, donors and friends had said for months that Kochel — whom Bush successfully wooed away from Mitt Romney’s inner circle earlier this year — was poised to serve as campaign manager. News of the shake-up comes after Bush’s supporters watched in horror last month as their man needed four tries—over four days—to answer the knowing-what-we-know-now hypothetical about the 2003 Iraq invasion, and generally struggled to decide whether he wants to run away from or toward the presidencies of his brother and father. Meanwhile, the onetime presumed GOP front-runner has fallen into a three-way tie atop a crowded GOP field nationally, and currently trails Scott Walker in Iowa by nearly double digits in RealClearPolitics’ rolling state polling average there. As for what the staff shuffle means in practice, it’s worth noting that, as Politico points out, Diaz is well-versed in the dark arts of opposition research, which raises the possibility that Bush—who once said he hoped to campaign “joyfully”—may be ready to go negative. Jeb Bush Should Have Had an Answer Ready for the Iraq Question. All His Rivals Did.